Image Download Tool v2.0.0.9 is a small application for windows computer created by Hisilicon, which allows you to flash the stock firmware on Android Smartphone Android tablets, Feature Phone running on Hisilicon Chipset. It allows you to Flash Stock Firmware on 8 USB Device at one time only. It support large mirror load and also support mirrored preloaded into the local memory, save repated download time. Optimal adjustment IDT Program structure, removal model Module, increase bootdld with fastbootdld Module. USB Map Support options xml File, set up to meet more than a drag load environment. In order to use the Image Download Tool, you need to install the Universal ADB Driver on your computer. [*] Compatibility: The Image Download Application runs perfectly on Windows XP, Windows Vista, Windows 7, Windows 8, Windows 8.1 and Windows 10 (32 bit and 64 bit). 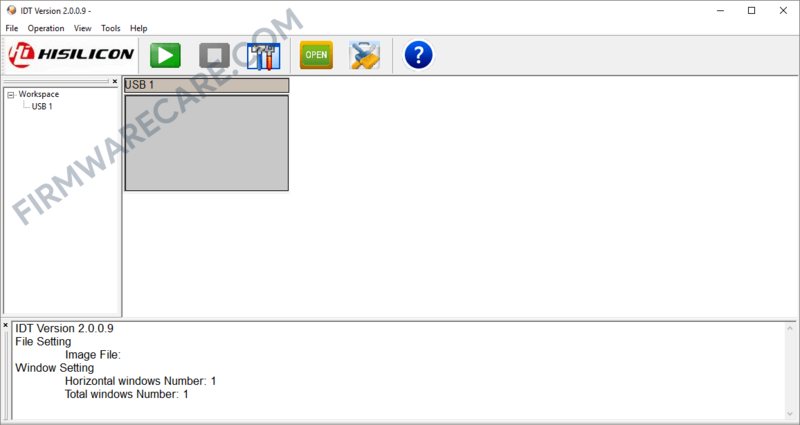 [*] Credits: Image Download Tool is created and distributed by Hisilicon (developer). So, full credits goes to Hisilicon (developer) for sharing the tool for free.